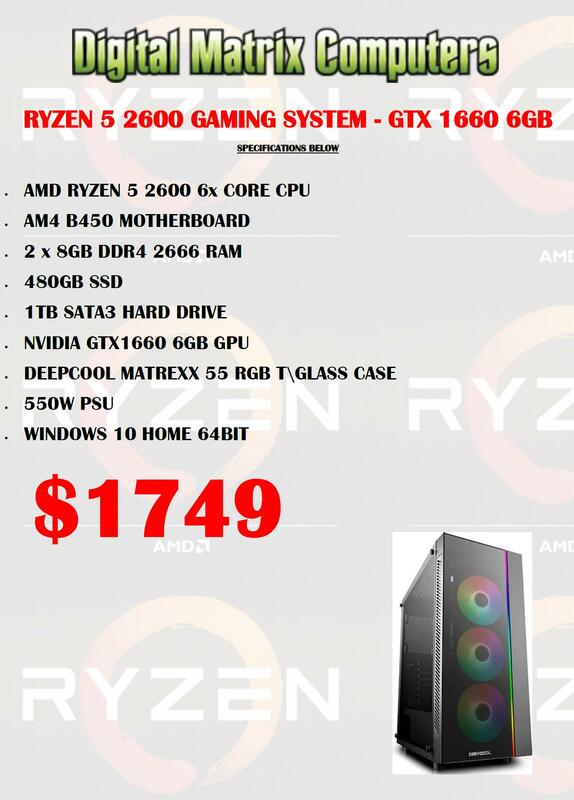 RYZEN 5 2600 GAMING SYSTEM - GTX 1660 6GB. Perfect for most current AAA Games at 1080P Resolution. 6Cores/12Threads CPU for smoother gaming whilst streaming and multi-tasking.